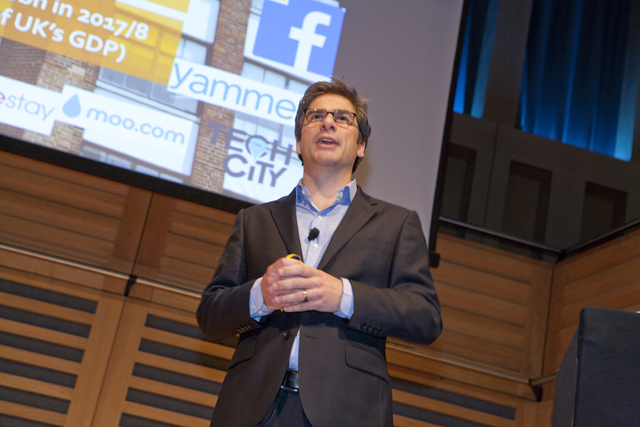 Gerard Grech, who heads up the Tech City body responsible for promoting growth in the capital's technology sector, claims marketing bosses need to "get with it" and recognise the disruption caused by digital. Speaking at the launch of JCDecaux’s "Old Street EC1" media location, Grech outlined the growth in tech start-ups in London and warned they are disrupting traditional business models. He said: "All chief marketing officers and chief information officers and management teams of established companies have to get with it because a lot of the traditional business verticals are getting disrupted by digital. "I’m not talking about pure play technology companies. I’m talking about technology disrupting every vertical from hailing a cab to booking a holiday." His comments come as the Licensed Taxi Drivers Association (LTDA) take the Uber taxi service, which uses drivers’ smartphones to calculate fares, to the High Court. The LTDA claims the Uber cars are effectively running off a meter without permission, while supporters of Uber believe the court action is a reaction to Uber’s technology allowing it to undercut the prices of black cabs. Grech, who is half French and has lived in Hackney for the past 12 years, criticised the British for not "celebrating success" enough. Tech City was set up by prime minister David Cameron in December 2010 and Grech said the aim of the organisation is "about helping tech companies accelerate their growth and be as ferocious as the ones in the United States". He said: "The hunger for success is incredible and we are building on heritage here. The UK led the industrial revolution only 150 years. I do believe we are on a journey for the UK to be a powerhouse in digital tech."